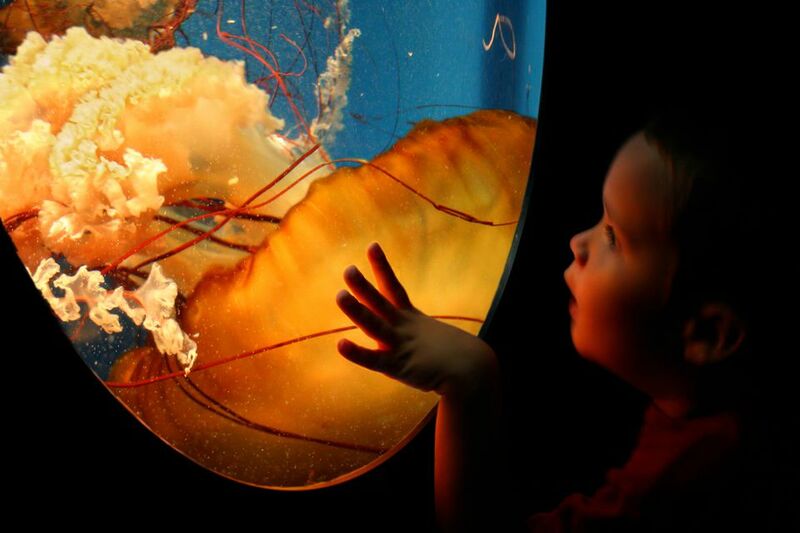 If your kids (or you) are fascinated by sea creatures, chances are that you've been to an aquarium or two, and you may have even planned a family getaway around an aquarium visit or a top new aquarium attraction. You might be surprised how many of these top 10 most popular aquariums are located in landlocked locations far from the coast. *The aquariums below were chosen based on a 2015 reader's choice list compiled by TripAdvisor. The world's largest aquarium when it opened in 2005, the Georgia Aquarium is home to more than 100,000 animals, representing 500 species, including beluga whales, dolphins, manta rays, and whale sharks that can be viewed from an underwater tunnel. Located on famous Cannery Row, the Monterey Bay Aquarium displays more than 600 species of sea life that enjoy fresh ocean water pumped in continuously from Monterey Bay. Exhibits include stingrays, sea otters, octopi, and myriad fish, from bluefin and yellowfin tuna to jellyfish. At this branch of Ripley's Aquarium in the Smoky Mountains, kids can watch penguins, hold a horseshoe crab, and touch a jellyfish. You can also view sharks from inside an underwater tunnel, through which runs a moving sidewalk conveyor and a walking path. The Tennessee Aquarium is home to over 12,000 animals and is best known for its River Journey building, which tells 'the story of the river' and follows the path of a raindrop from high in the Appalachian Mountains to the Gulf of Mexico. An independent not-for-profit marine research organization, Mote Marine Laboratory & Aquarium exhibits more than 100 marine species with a focus on local Florida marine life. Families can see sharks, manatees, dolphins, sea turtles, seahorses, rays, skates and many kinds of invertebrates. Chicago's most popular attraction, the Shedd Aquarium contains over 25,000 fish and is home to a huge array of sea life, from starfish to sharks. Plan to spend time exploring the Abbott Oceanarium, which houses the largest collection of marine mammals in the world, including Pacific white-sided dolphins, belugas, sea otters, California sea lions, and penguins. The National Aquarium is home to more than 17,000 animals representing over 750 species. Exhibits include the Upland Tropical Rain Forest, a multiple-story Atlantic Coral Reef, an open ocean shark tank, the award-winning Australia: Wild Extremes, and a marine mammal pavilion that houses bottlenose dolphins. The Dallas World Aquarium, located in downtown Dallas, is a bi-level attraction with a replica rainforest on the upper floor that is home to three-toed sloths, poison dart frogs, and vampire bats. The lower level houses fish and other ocean life from around the world. The 49th State's premier aquarium, the Alaska Sealife Center is the only facility in the world specifically dedicated to studying the northern marine environment and promoting an understanding and stewardship of Alaska's marine ecosystems. As the name may suggest, the hands-on experiences at the Florida Keys Aquarium Encounters are what make it a standout attraction. From tide pool touch tanks and feeding tarpon to snorkeling in a lagoon and interacting with nurse sharks, there are many ways to get up close with sea life.